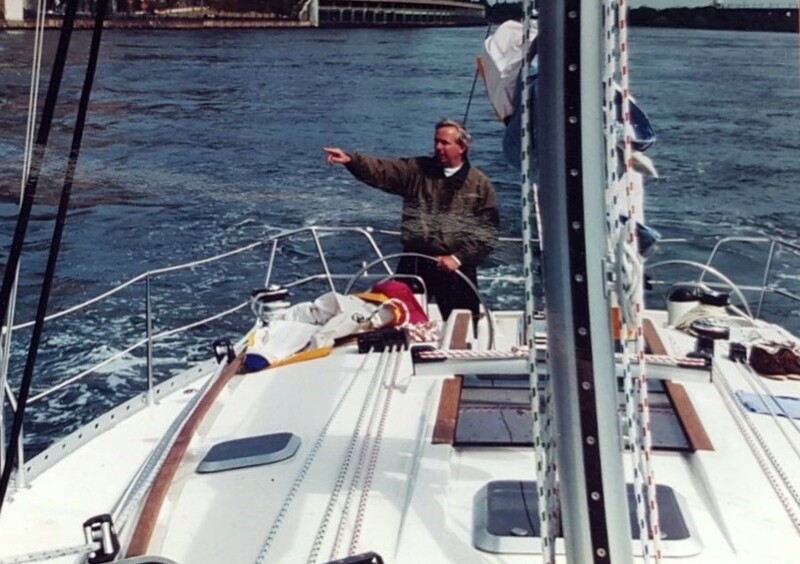 Timothy Reardon McHugh, 69, formerly of Southborough, set off on his final sail surrounded by family, on Tuesday, March 20, 2018 after a long and courageous battle against early-onset Alzheimer’s disease. Born in South Orange, NJ, he was the son of the late James Francis and the late Katherine (Reardon) McHugh. Tim was a proud graduate of Portsmouth Abbey in Rhode Island and the University of Notre Dame, where he received a B.A. in Government and International Relations and was captain of the lacrosse team. Growing up on the water, Tim became an Officer in the U.S. Coast Guard in January 1971. For 2 years, he served on the USCGC Vigilant, based in New Bedford, and in staff positions in Boston and Washington for an additional four years. While in Washington, Tim participated in negotiations with foreign governments on issues concerning international fishing boundaries and served as a liaison with Congress and Federal agencies regarding enforcing international fisheries law. Following his time in the U.S. Coast Guard, Tim graduated from the Washington College of Law at American University. Tim practiced admiralty law in Boston for over 25 years, was an adjunct professor at the New England School of Law, and Director Emeritus of the Coast Guard Foundation. He began his career as an attorney with Hoch, Flanagan & Snyder, and from 1985 – 1999 Tim was in private practice with Hoch & McHugh. For the next 5 years, Tim was Of Counsel at Looney and Grossman. Before retiring in 2008, he was in private practice in Southborough. Tim served on Southborough's personnel board and other ad hoc committees. He coached youth soccer and girls youth lacrosse teams. Tim knew and loved every inch of Southborough. He also loved to sail, hike, ski, play lacrosse, toss the Frisbee, talk politics, read history and watch New England sports. Tim got the most joy from telling silly, sarcastic jokes bringing a smile to those around him. His laughter was infectious and will be forever missed. Tim’s biggest battle was against Alzheimer's. His sense of humor gave him strength to face Alzheimers with dignity and courage. His true, loving and warm nature shined through his disease and warmed our aching hearts. Tim will be dearly missed by his three children Emily, Matthew and Samantha McHugh; his siblings James F. McHugh, III, and his wife Katherine, of Charlestown; Abigail A. Charlet and her husband Andre, of Lyon, France; and Thomas M. McHugh and his wife Brook, of Alexandria, VA; many nieces and nephews; and his former wife Wendy J. (Schneider) McHugh. 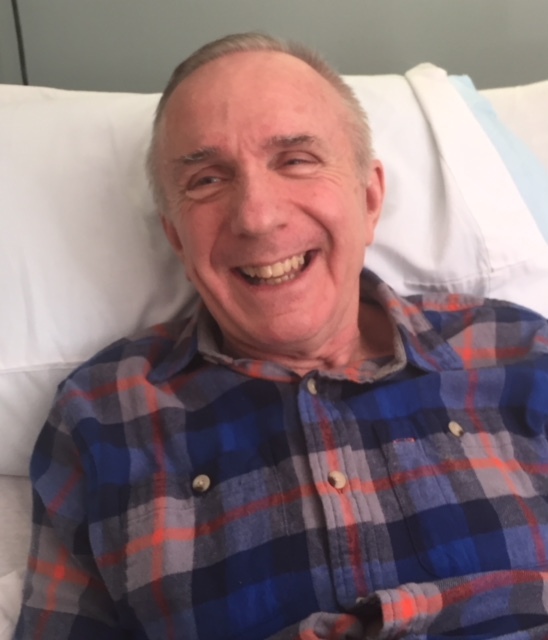 Tim’s family would like to thank Eliot Healthcare of Natick, Home Instead Senior Care, and Constellation Hospice Services whose compassion and kindness provided Tim with comfort in his final years. Visiting hours will be held on Friday, May 4 from 4-7pm at Morris Funeral Home 40 Main Street, Southborough. 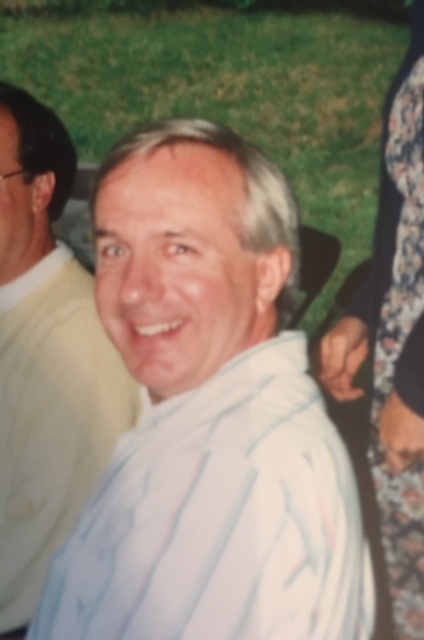 In lieu of flowers, the family kindly requests that donations be made in Tim’s memory to the Alzheimer’s Association at http://act.alz.org/goto/timothymchugh.